KATHMANDU, January 20: The merger of the lower committees, various departments and sister wings of the erstwhile CPN-UML and the CPN (Maoist Center) which united in May last year to form the ruling Nepal Communist Party (NCP) has been stalled for months as the panel tasked to determine the criteria and lay the ground for the merger has failed to work as mandated by the party's Standing Committee meeting last month. 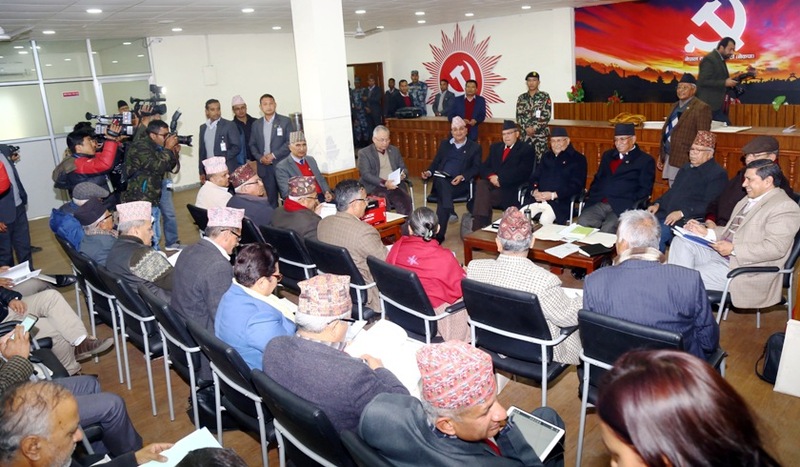 A member of the task force said they haven't been able to hold a meeting recently let alone make any progress on settling the issues and merging different committees of the then CPN-UML and CPN (Maoist Center). The task force headed by NCP General Secretary Bishnu Poudel was formed by the party's Standing Committee meeting in the last week of December 2018 with the mandate of settling the unresolved political and organizational issues within two weeks. Ram Bahadur Thapa, Shankar Pokharel, Barshaman Pun, Yogesh Bhattarai, Surendra Pandey, Beduram Bhusal and Lekhraj Bhatta are the members of the task force. The task force mandated to come up with a unification roadmap by mid-January this year has not met since January 8. 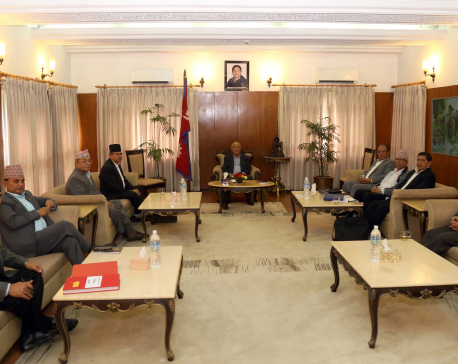 Task force member Thapa heads the home ministry whereas Pun is energy, water resources and irrigation minister. Similarly, Pokharel is the chief minister of Province 5. Bhattarai, Pandey, Bhusal and Bhatta are not in the government but the busy schedule of ministers has affected the task force's performance, according to party leaders. Even as the party's secretariat formed provincial committees, dissident leaders say the party establishment sidelined the leaders of the rival camp while forming such committees. With such disputes emerging in the party, the task force is preparing to increase the number of members in the provincial committees by 10 percent to accommodate the leaders joining the NCP from other parties. But the task force remains undecided after leaders opposing the KP Oli camp demanded that the provincial committees be reconstituted "to maintain internal power balance." The row over whether to go for 'one person, one position' policy in the party rank and file has also put the task force in a fix. NCP leaders Pokharel and Prithvi Subba Gurung are bearing dual responsibilities as they are in the party as well as the government. Pokharel, who has been named the party's in-charge of Province 5, is also the chief minister of the province. Likewise, Gurung is the chief minister of Province 4 and the party's provincial in-charge. 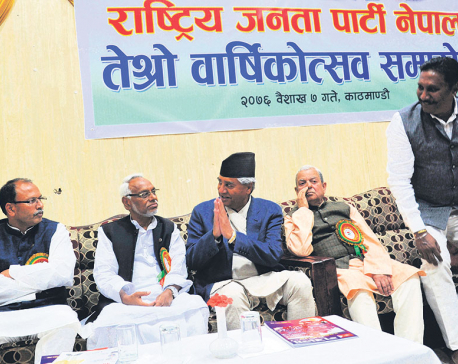 Apart from this, leaders representing the anti-Oli camp have accused the party leaders of promoting favoritism while assigning responsibilities to party leaders, promoting corruption in the government and failing to deliver. Sorting out the row over its future course, the task force had finalized communism as the party's strategic goal but its members are still divided over fixing the responsibilities of the central leaders, according to informed party leaders. As the task force fails to sort out the internal issues related to the merger, about 350,000 party leaders and cadres are said to be without defined responsibilities.